Absolut’s Pool Fencing passion all comes from our founder, Jason, who started Absolut Glass Pool Fences 10 years ago. In that time business has flourished and grown, but this pool fencing passion came from Jason’s initial actions, skills, and talents. Jason grew up on the Gold Coast with his family being involved in the fashion business. His family had numerous high-end clothing outlets scattered from the Sunshine Coast and down to Byron Bay. His early ventures into business were actually in hospitality – owning several cafes and a lucrative Broadbeach restaurant and nightspot. Jason decided to renovate his own restaurant, and it was a huge success. So much so that he even began to receive offers to do the same for other places in the area that were excited with his designs. He realised that this might possibly be his calling – to his design skills. In the early 2000’s Jason teamed up with a friend and colleague that happened to be a glazier. Jason could see that there was a gap in the market with glass pool fences, and he believed that with his friends skills, and his talent for design, they would be a formidable team. 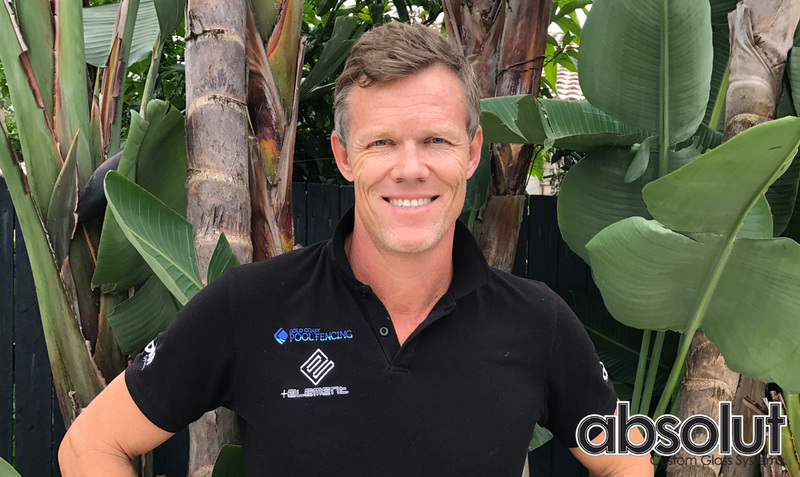 This is where the Frameless Glass Pool Fencing business was born and the name Absolut Custom Glass Systems began to spread through the Gold Coast. After sourcing some good providers of materials and completing some jobs for family and friends he decided it was time to change careers and sell up his hospitality interests. It wasn’t long before Jason had set himself up in the industry with a 4wd and glass carrying trailer and began to get referrals from the work that they had already finished. The company slowly grew and grew and the company had to extend to be able to meet the ever-expanding market. The company survived the global financial crisis of 2009 and the bursting of the property market bubble. Work may have reduced over that period but the team at Absolut Custom Glass Systems managed to still have enough work. The recovery was slow, but right now in 2017 the business is busier than ever before and now has 3 teams servicing areas from as far south as Ballina and north up to the Sunshine Coast, with some amazing jobs being completed in the iconic Q1 building and all across homes in the Gold Coast and Hinterland region. This is exactly where Jason’s design skills have been put to great use. There are a great deal of glass pool fencing companies on the market and regrettably many of them do not put much thought into how aesthetically appealing the end project will look. The easy part is construction and compliance when it comes to pool fences. Absolut excels because Jason understands how necessary it is that end product adds value to your property and is as least intrusive as possible. Or check out our partner organisations that share our Pool Fencing passion – together our goal is to reach out to deliver quality Pool fences to more places on the Gold Coast, Affordable Glass Fencing, Frameless Glass Gold Coast, and Frameless Glass installers. Glass Slippage and how your timber deck might be causing it.